All-consuming fame and fortune prove too much for a teen popstar who suddenly goes missing--Eddie and the Cruisers for the Justin Bieber era. Just eight months ago, fifteen-year-old Roxanne Stewart was stuck in her tiny, middle-of-nowhere hometown with no prospects of leaving. But after her boyfriend, Joshua Blackbird, posts a performance of an original song on YouTube, he becomes an overnight sensation, catapulting to the dizzying heights of celebrity, and Rox joins him on the whirlwind ride of a massive national tour. But it's not long before the never-blinking eye of fame begins weighing them both down--the constant hunger of managers, diehard fans who call themselves "Birdies," record execs, paparazzi, and even family, all leeching onto Joshua. Then one day, Joshua Blackbird disappears. Was it a suicide? An accident? Rox will stop at nothing to find out the truth. 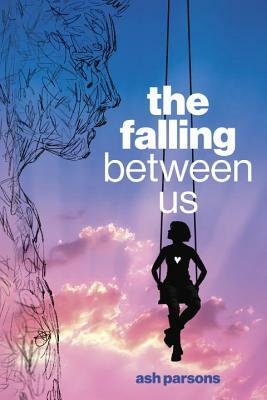 The Falling Between Us is a haunting love story and a piercing look at the costs of fame. Ash Parsons is a graduate of Ringling Brothers and Barnum and Bailey Clown College as well as other, more traditional schools. She recently taught English to 7th, 8th, and 11th graders and creative writing for Troy University's ACCESS program. Ash has performed at the Wolf Trap Center for Performing Arts, The Sarasota Opera House (Sarasota, FL), and in Auburn University Theater's production of her play, Freakspiel: Nick Dragon's Demented Sideshow. Ash, who can sometimes be found stumbling around as a zombie on The Walking Dead, loves change, challenges, and chopping off her hair. She lives in Alabama with her family. She is also the author of Still Waters. Follow her on Twitter @ashparso.